In New York both parents are responsible for their children’s support. That support can be determined by a legal formula applied to income, or by an agreement or court decision that deviates from the formula. Whether by formula or not, many complex issues can be involved in achieving a just and favorable child support obligation. For example, hidden income may need to be uncovered. Expert analysis of tax consequences can structure support to maximize financial benefits to both parents. Courts can impute income to non-working or “underemployed” parents in setting child support based on evidence presented skillfully at trial. Child support can also be modified when circumstances change. A thorough understanding of local decisions and court practices can be invaluable in negotiating a fair settlement as well as litigating child support matters in court. Pat brings experience, knowledge and skill to negotiating and, where necessary, litigating all aspects of child support and its modification. Child support in New York is determined based upon the income of the parents, as well as other factors, including the standard of living before the divorce, the health of the children, the educational need of the children and the parents. 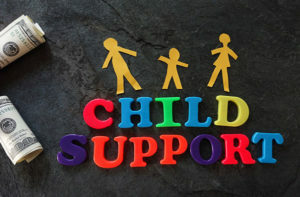 Click here to view Child Support Guidelines.